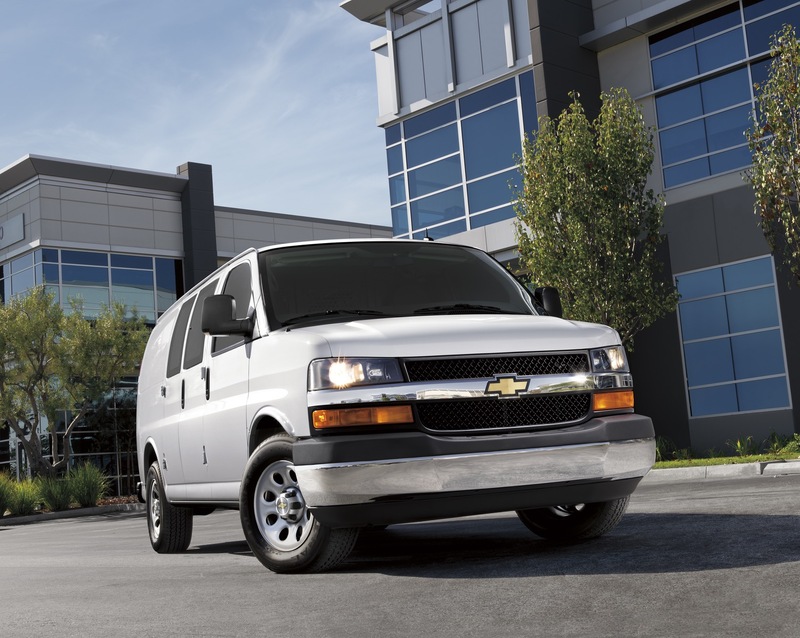 Yup, you read that right: GM is giving its aging Chevrolet Express and GMC Savana full-size vans a new base engine and transmission for the 2018 model year (according to order guides supplied by our dealer friends). For as long as we can remember, the base powertrain of the Express/Savana twins was the 4.8L Vortec V-8 L20 mated to a GM Hydra-Matic six-speed heavy-duty automatic transmission (MYD). The combo was good for 285 horsepower and 295 pound-feet of torque. 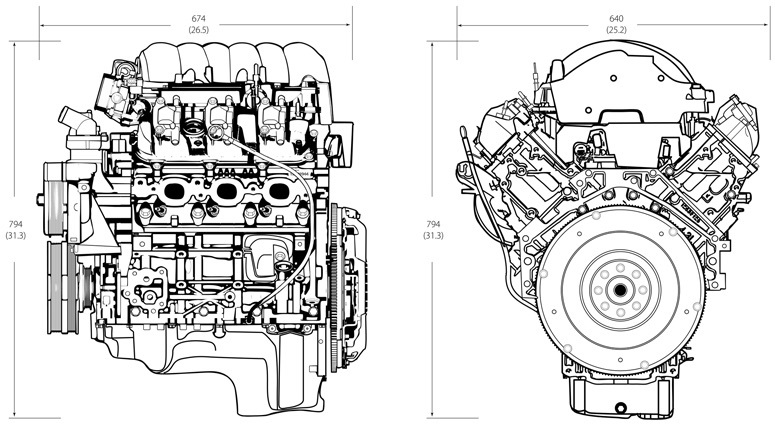 Those who aren’t directly familiar with the 4.8L L20 should know that the motor is part of the GM Gen IV Small Block generation of engines and did duty as the base engine in the GMT900 generation Chevy Silverado and GMC Sierra. It was fed via sequential fuel injection (SFI), so it wasn’t direct injected. Variable Valve Timing (VVT) was added on in 2009. The engine that’s replacing it is the 4.3L V-6 LV1. 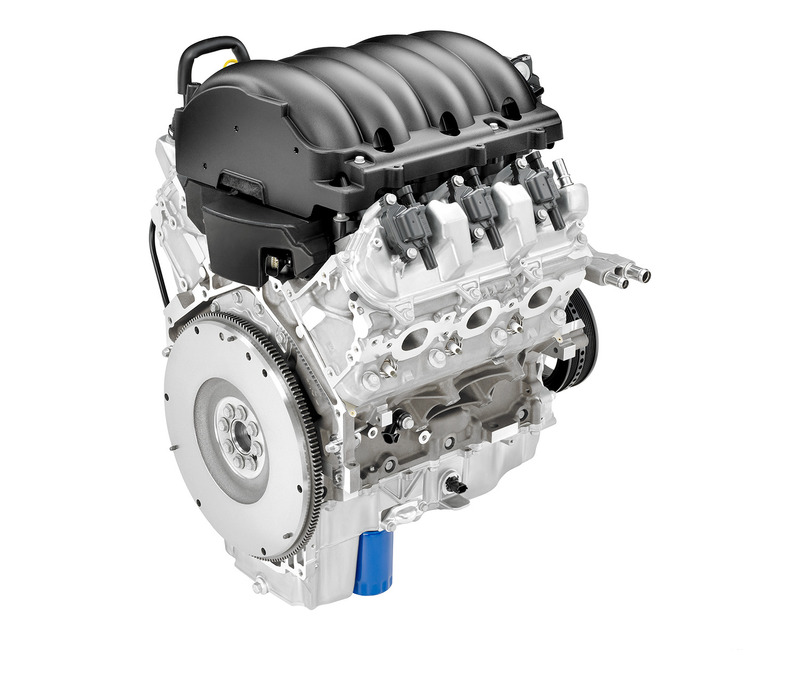 Part of the GM Gen V family of engines, the aluminum block motor is essentially a variant of the EcoTec3 4.3L V-6 LV3 that serves as the base powerplant for the GMT-K2 generation of the Silverado and Sierra. 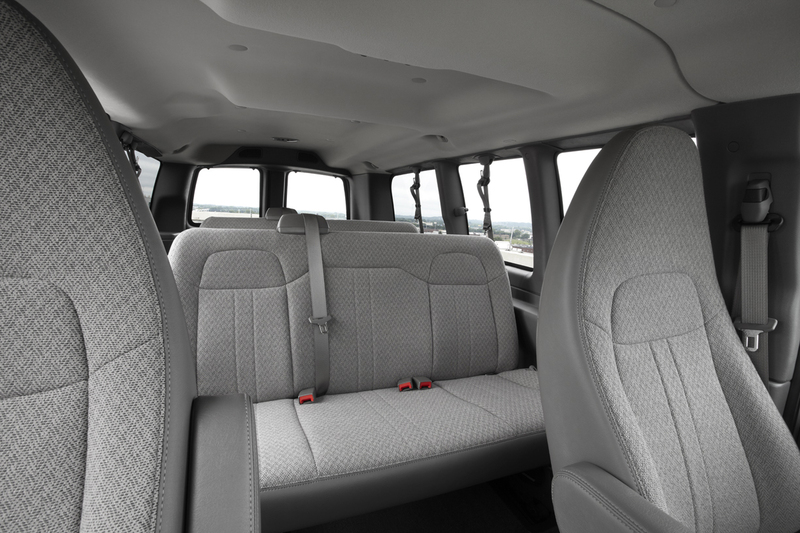 In the 2018 Express and Savana, the LV1 makes 265 horsepower and 295 pound-feet of torque. 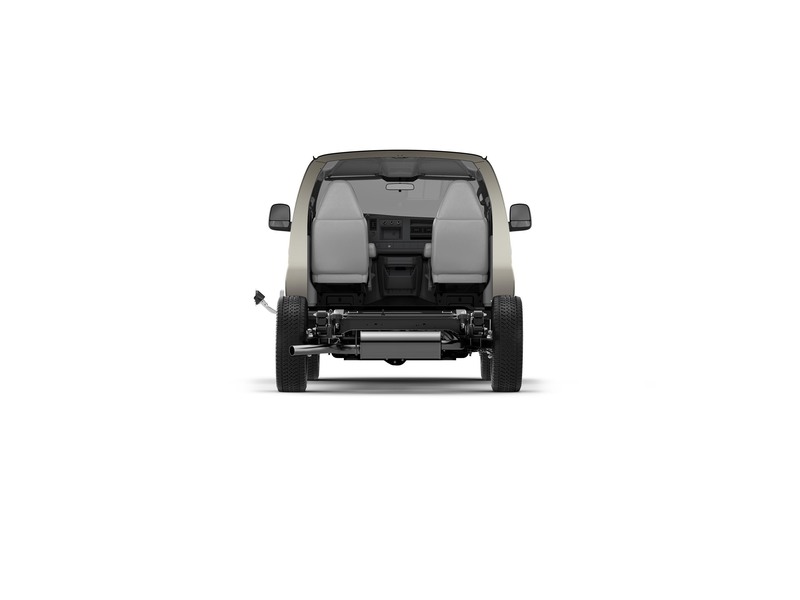 And unlike the L20 it replaces, the mill features the latest and greatest combustion technology like spark ignition direct injection (SIDI), Variable Valve Timing (VVT) that wasn’t added on as an afterthought like in the L20, and high-pressure fuel pumps. And since the newer, more efficient engine will be mated to a transmission with two more forward gears (the GM 8-speed 8L90 M5U), we expect the Express and Savana to see a bump in fuel economy for the 2018 model year as well. 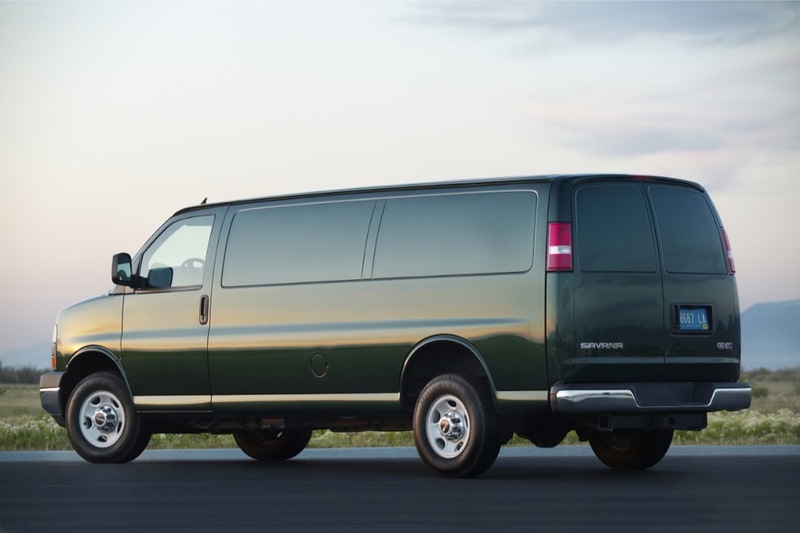 The introduction of the new LV1 V-6 engine coincides with other changes and updates for the 2018 Express and Savana — which you can find using the links at the end of this article. There’s no denying that the Express and Savana are downright archaic. 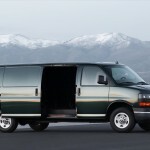 depending on how you count it, the duo is either 23 years old (since the launch of the first-generation Express in 1996) or 16 years old (after the original van was updated in 2003). 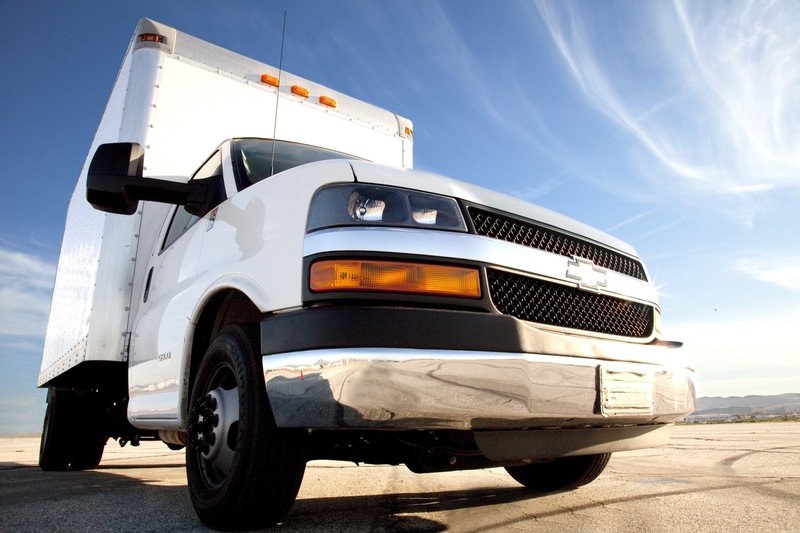 But despite their age, the vehicles are trusted by thousands of fleet owners and are selling very well in the marketplace, often occupying first or second places in their competitive set. As such, it’s great to see GM give the these workhorses some attention with a modern base powertrain along with other updates for the 2018 model year. This should bring some modernity to the vehicles, thereby making them more competitive in the marketplace, while meeting the looming fuel economy regulations. And delivering the same (power/torque) with less displacement and two fewer cylinders is always a welcome change. 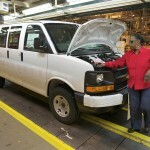 In fact, GM has been slowly modernizing the vans. 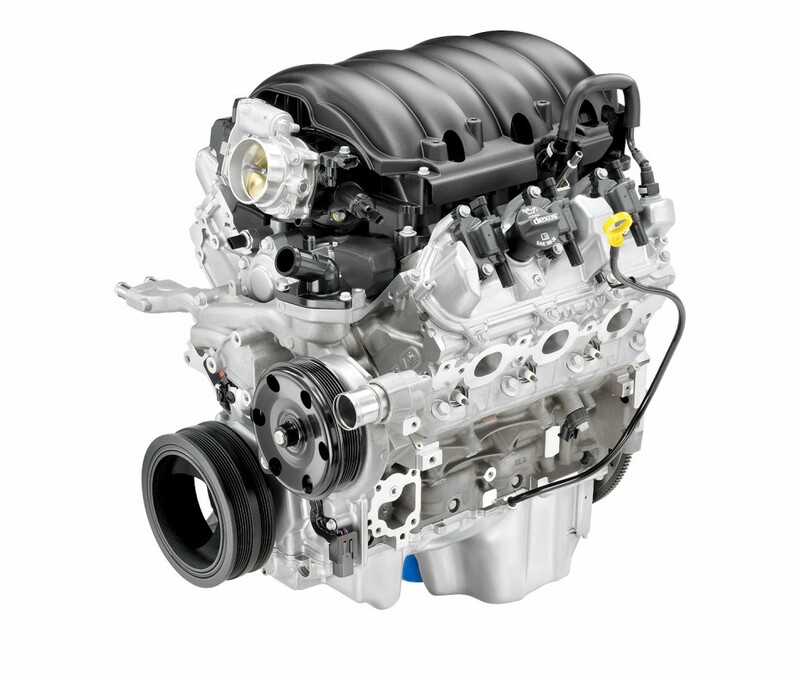 Last year, the automaker introduced a new turbo-diesel engine – the 2.8L I-4 Duramax LWN engine (aka “baby Duramax”) to replace the outmoded 6.6L LGH Duramax. 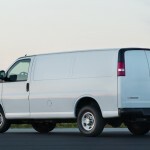 But what would be even better is if GM were working on a completely new and modern van lineup to compete with the likes of the Ford Transit and Ram ProMaster. 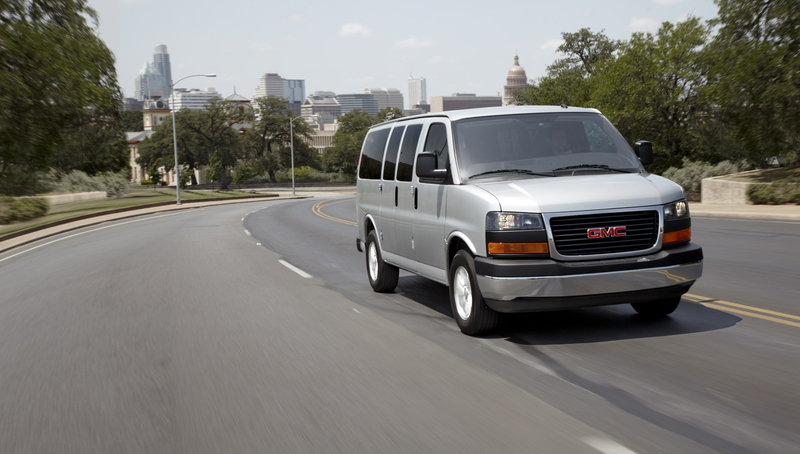 The Chevrolet Express and GMC Savana are full-size vans offered in cargo, passenger, and cutaway configurations. Outside of the logos, the vehicles are identical. The first-generation Express/Savana ran from the 1996-2002 model years and was based on the GMT 600 platform. In 2003, an updated model was launched on what is known as the GMT 610 platform. This updated model remains on sale today, albeit the range has undergone a few updates to powertrain and minor styling changes. 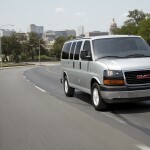 The Chevrolet Express and GMC Savana are built primarily at the GM Wentzville factory in Missouri operated by GM USA. 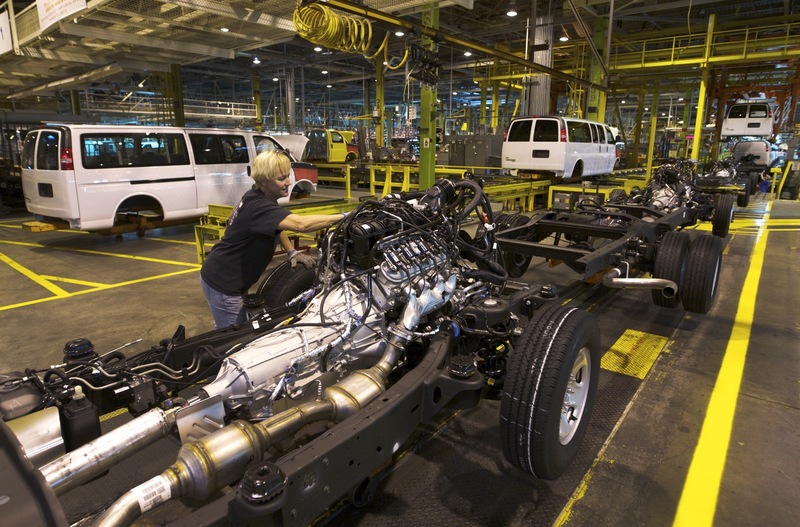 In early 2017, Navistar began contract assembly of the Express Cutaway and Savana Cutaway models in its factory in Ohio, as part of an initiative to increase the supply of both models. 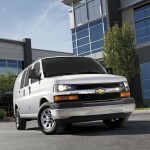 I would like to see ,A test of the Chevy Express with the 2.8 diesel ! These things never die! At work we have one that just ticked over to 450,000 miles and still runs great. I have a Bugatti that gets 100 mpg and does great in the snow. In theory your claim is possible, but is it still the same vehicle when it is on its 4th fuel pump, third transmission, and second engine? And no, nothing GM runs great that has more than 30k miles. eat those words and see my post below. I even live on gravel roads. only problem was snapping my sway bars at 185k. Old school here, I like GM products because of their engines reliability. I tend to keep vehicles a while. I had a 72 Ford E-200 for 20 years, damn 302 went through 2 rebuilds, lucky to get 140K. Currently driving an 83 Buick LeSabre Estate Wagon with the Olds 307 closing in on 400K. I got it from my ex father-in-law at 75K other than spark plugs/wires, cap and rotor, water pumps, alternators, gaskets, etc., I just replace the timing chain every 100K do a compression test have managed to get an average each time of 165psi (dry) except @ 300K no. 8 was at 135. 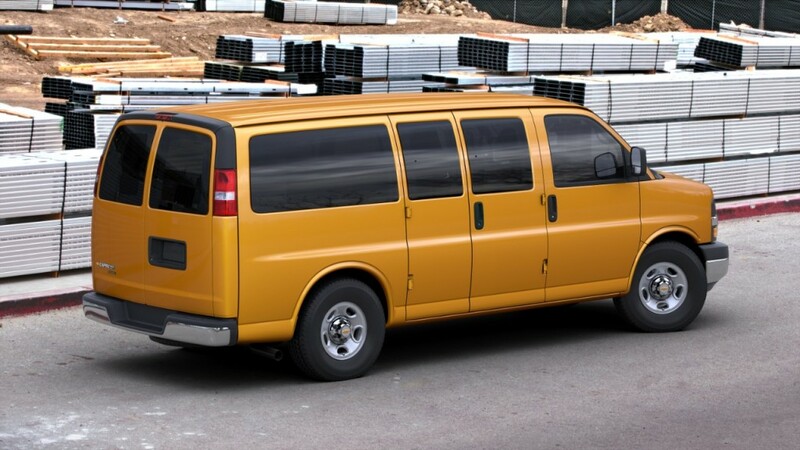 So I’m looking for a van (probably cargo w/RR windows)for my retirement in 2 years, going fishing putting a canoe rack on top, but something with decent fuel economy. Any suggestions ? Probably trick out the old Wagon drop a chevy crate eng./trani package in her probably the 400hp 350. If they can upgrade the engine, and transmission in these vehicles, they should do it to the Chevy Sonic. 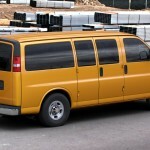 I understand it’s a different category of vehicle, but the chevy sonic sells more each month than these vans do. The Chevy Sonic has had the same engine options since it’s introductory in 2012. It’s 6 model years later, and not a different option has been presented. What a load of B.S. Daryl – the Sonic isn’t going anywhere. Why would you think that it is? 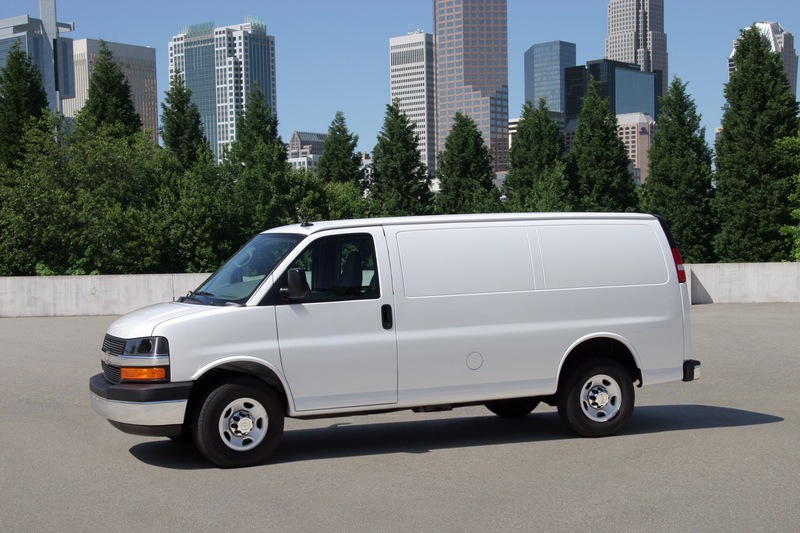 Zach – the business scenarios for these vans and the Sonic are quite different. The Express/Savana are cash cows… everything related to them has already been paid for a decade or more ago. This is not the case for the Sonic, whose margins are substantially less. So they will likely let the current model run its lifecycle as it is since it doesn’t make sense to invest in a program that will soon run out of production. I hope the sonic name is going though. I also hope that the next gen will be shorter and wider. I know that they are trying to make a city car that is easy to parallel park, but I miss the days of the chevy cavalier. It was nicer than my brothers corolla, bigger and got the same “real world” mileage. that’s another car that did 200,000+miles with minimum problems. Great upgrade on these, exactly what they needed. I imagine these are getting the 8 speed as the trucks are soon getting the 10. 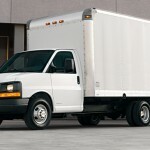 I hope they decides to make the 5.3 a option on 2500 and 3500 vans, the 4.3 is perfect for the 1500. 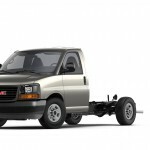 One of these passed me on the highway recently towing a mini excavator (3.5ton). It had the 6.6Dmax in it, and reinforced to me that there’s a part of the market who definitely appreciate the big engine choices. chevy needs to never! 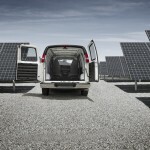 compete with the ford transit or premaster. Those are front wheel drive euro moving pods that are thinner and less capable. The reason that the express sells so good in face of the newer euro models is the fact that they cant work the same way that it does. A newer express would be nice, but going European would defeat the purpose. people would just dump the category entirely. The Transit is not FWD. It’s RWD and is actually more capable than the Express, Savana, E-Series, etc. 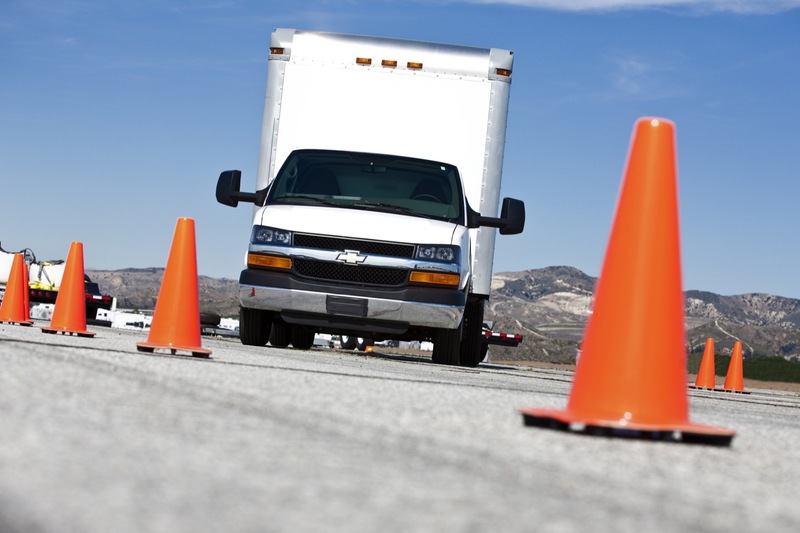 What is FWD is the smaller Transit Connect. 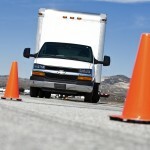 All fourth generation Ford Transit full size vans are RWD. 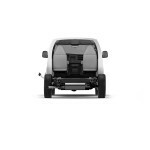 The small Transit Connect and Transit Tourneo are FWD. I’ll debate the more capable part. In terms of numbers, the GM twins are as and in some cases more capable. 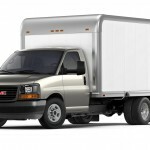 Cargo van to Cargo van, their available payloads are within a mere couple hundred pounds, and GM has them beat in towing quite a bit. 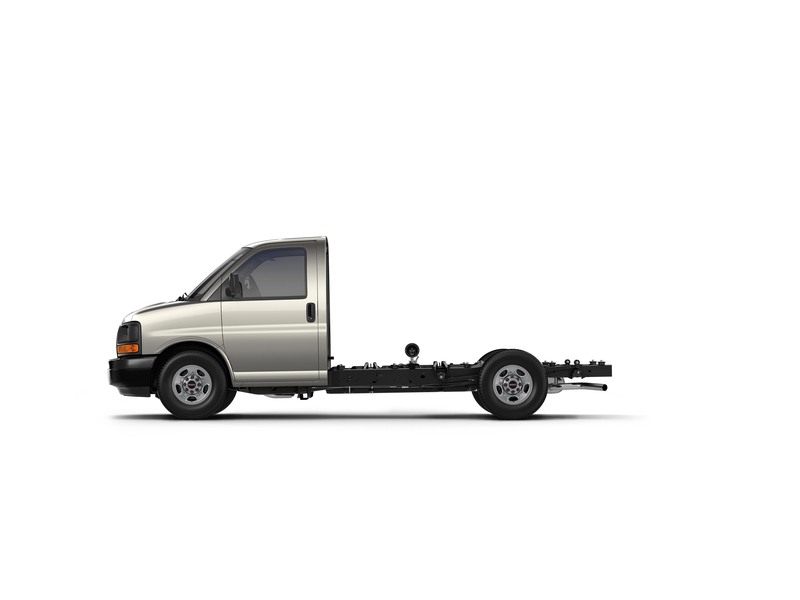 Transit peaks at 7500lbs towing, the GM twins are up to 6800lbs with the diesel, 7200lbs with the 4.3 and 10,000lbs with the 6.0. 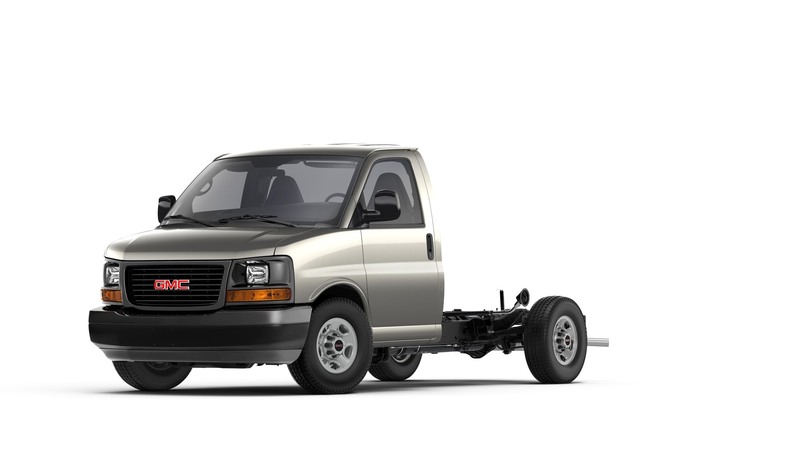 And if we talk cutaway payloads, GM wins on that front. 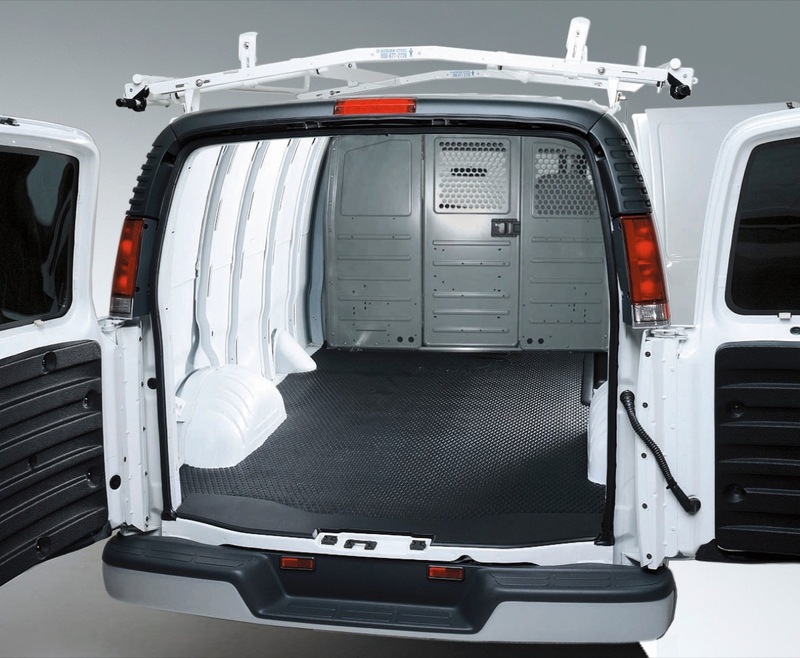 Peak payload of any of the Transit cutaways is 6020lbs and that’s on a 138″ wheel base 350HD van. 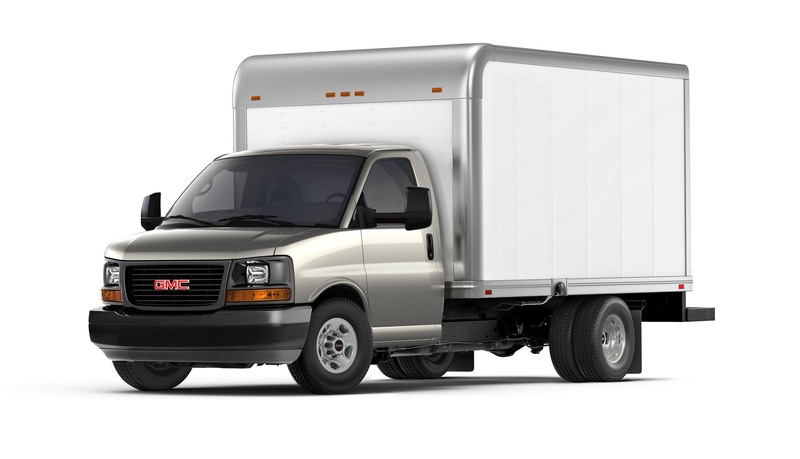 Now, GM’s 3500 139″ wheelbase comes up at 5330lbs, however, step into the 177″ wheelbase, and the 4500 vans, and GM’s payload goes anywhere from 7248lbs up to 9156lbs. 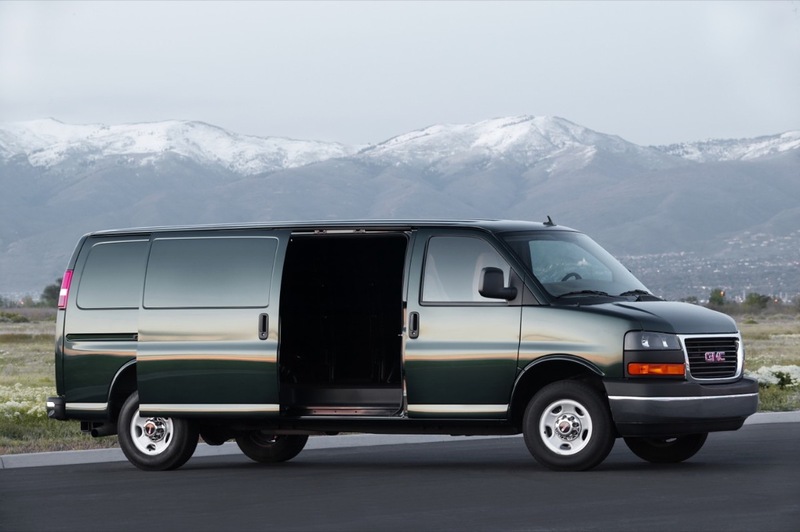 Heck, the E350/E450 cutaways that are still available per Ford’s website beat the Transit. 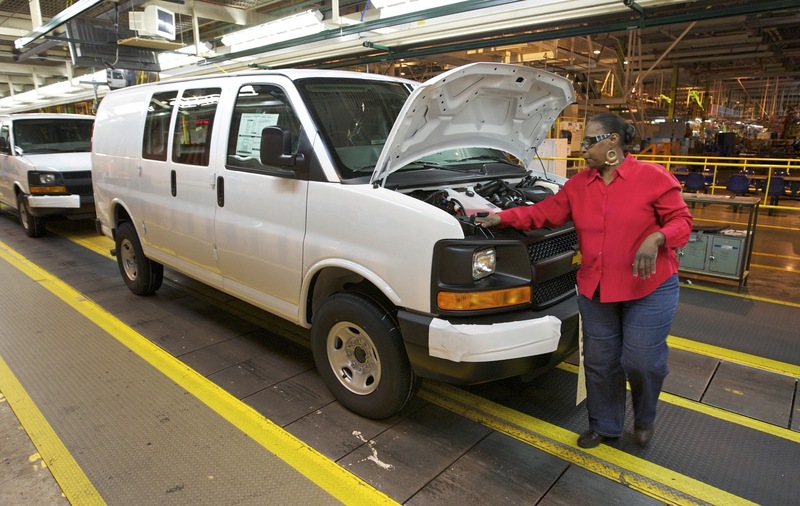 Transit is unibody, GM is body on frame, E series is BOF. 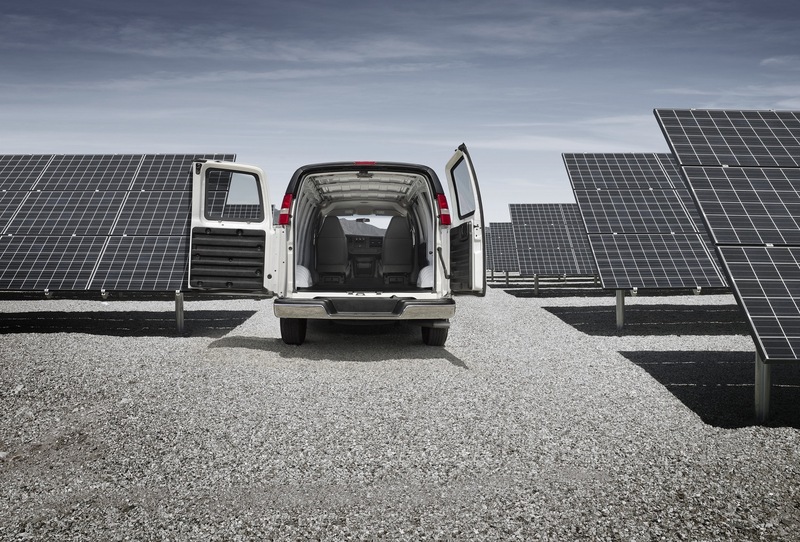 The capability is nearly identical between the new and old school vans. The biggest difference is the driving experience and ride quality. 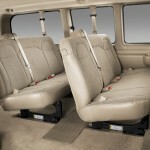 The new vans drive and ride substantially better for the driver and passengers. 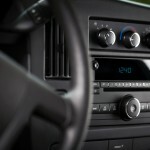 They are significantly more ergonomic and comfortable, especially for the driver. Passengers also the feel the difference but the driver is impacted the most. 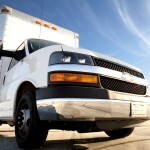 It’s an important difference when some of the people driving these things spend 8-12 hours behind the wheel daily. 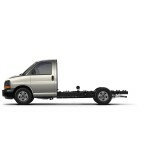 Take it from someone in the trades, it’s payload that’s important, rarely towing. They need to be reliable and cheap to maintain. Low cost and good gas mileage. High roofs for certain trades and low roofs for for fitting in parking garages for others. 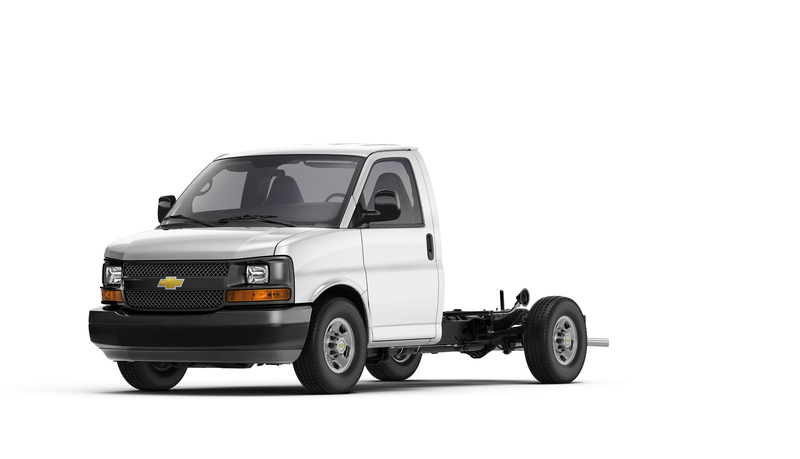 Chevy has a very good formula here, but they should consider a high roof option. 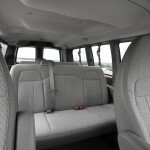 That said, the new school vans do the wheelbase and roof configurations really well. 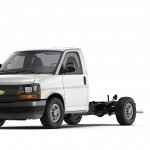 Chevy has a truck in that area already, the 5500XD low cab forward. no need for a van in this area. btw’s Alex, are you secretly a ford guy writing for GM authority? you seem to think that GM is getting hammered in this segment. sales suggest otherwise. 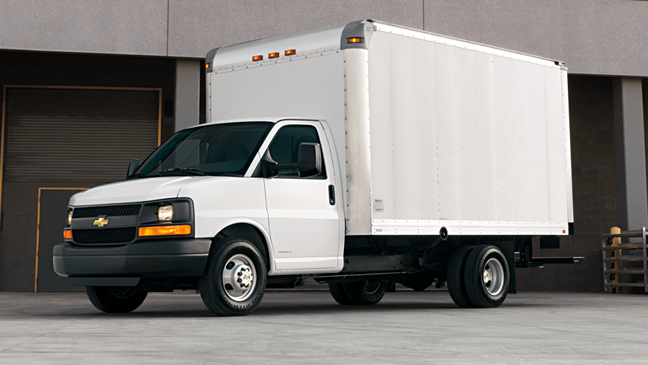 The “truck” that you are referring to is an Isuzu with a Chevrolet badge and it is not being cross-shopped with the vans because it is extremely more capable and also more expensive. 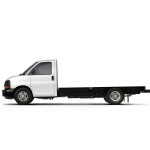 Plus if the vehicle in question is a cargo van and your solution is a more expensive Isuzu/Chevy LCF truck, then you need to factor in another $5,000 for the cargo box to bring it to parity. And I appreciate the humor in your conspiracy theory, Jake. 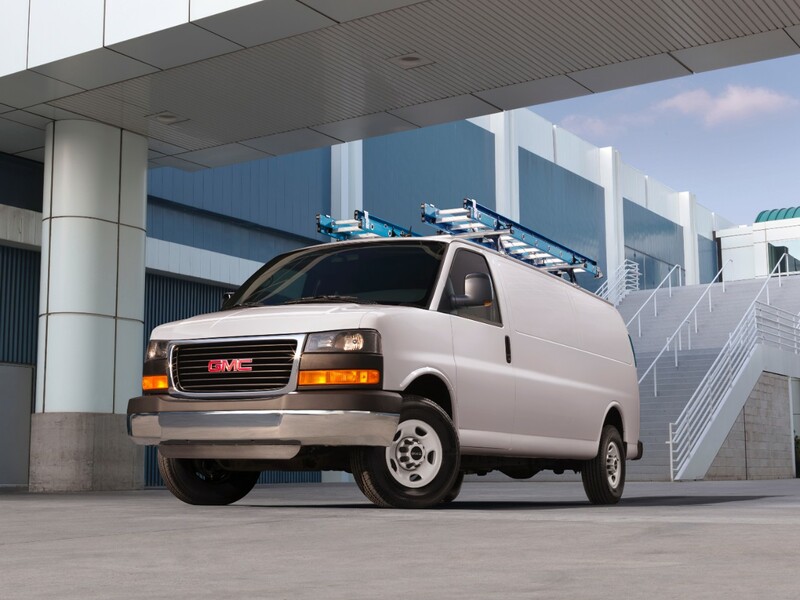 But my goal is actually quite simple: to get GM to stop making excuses and return it to be the king of the light and medium commercial vehicle segments, a position from which it is far from right now. Ford is doing quite well in this space between the Transit, E-series cutaway, and F-550/650 medium duty trucks, outselling GM 3:1 across these segments. Facts matter. Alex, your chart above mentions the 4.3L as a V8. It’s going to be a tough sell once again to convince old school guys (and the vast majority of Express buyers at least in my area) that dropping two cylinders is a good thing. This will force many to the overkill of the 6.0L which will in turn create many complaints of fuel economy. 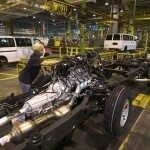 I was really hoping to get the new 5.3L in the lineup to showcase what a V8 can really do with economy and performance. 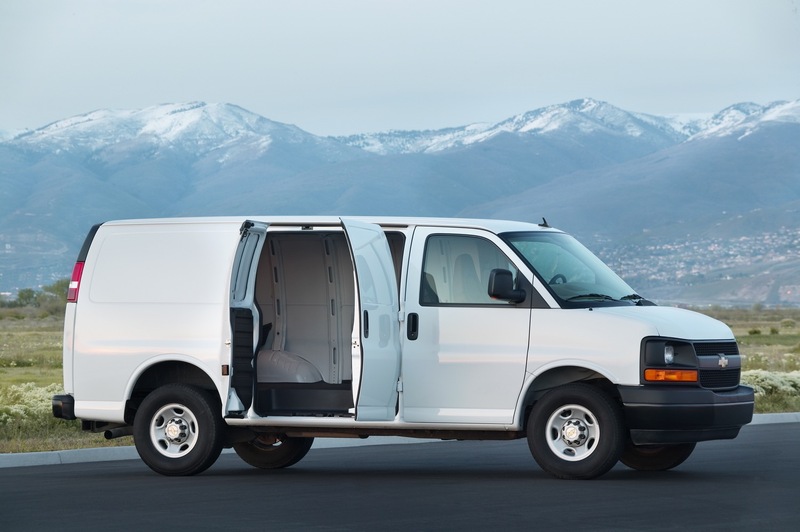 The Promaster is FWD not the Ford Transit. 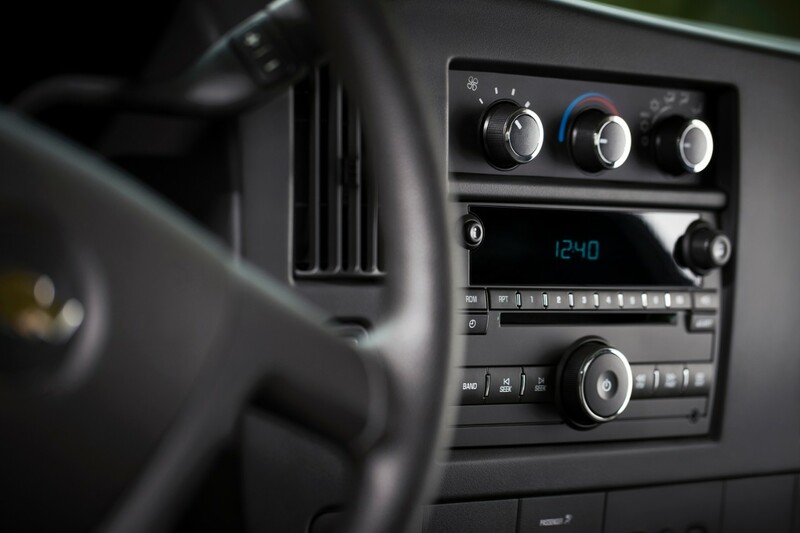 While a nice update, how about a new interior with some modern technology for it’s customers as well. The thing GM needs to work on is the passenger seats (all rear positions) at least adding headrest support, otherwise you cannot even take a nap, making the trips exhausting. 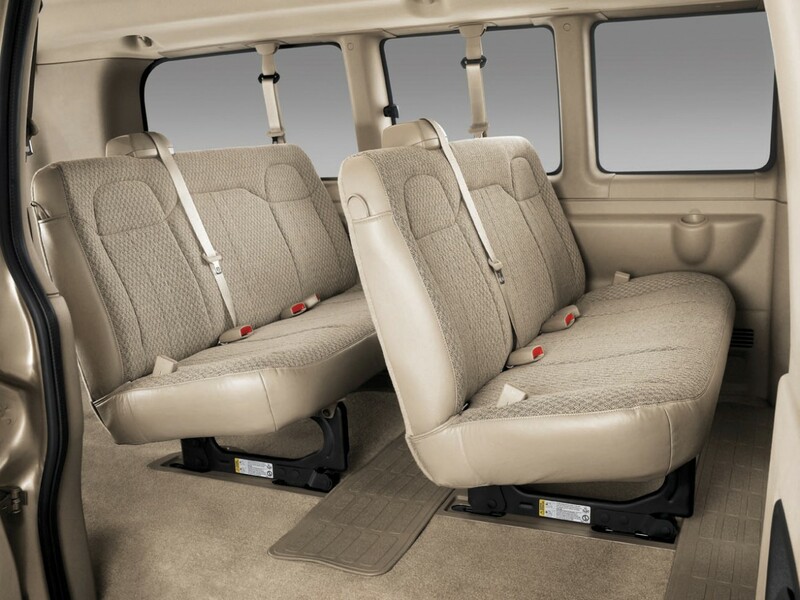 If they give it a new interior with more modern technology, they might as well make a new van like the Transit. As to “a new one”. Would it make sense to develop a successor to Express/Savana in cooperation with PSA/Opel? They just need to keep upgrading powertrain and interior and whatever else they need to keep them ahead in the market. I know the old saying if it aint broke don’t fix it. But you can’t remain stagnant in todays market. The GMs have irritating bugs especially with the vapor evap systems….fix this so that owners can refuel without pump shutting off every 2 seconds and then the vehicle would be improved! There was a statement about age in the article. How did they come up with 23 years between 1996 and 2017 or 16 years between 2003 and 2017? 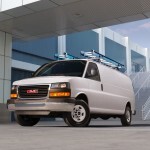 I think GM should make a unibody utility van to compete with the Ford Transit and Ram ProMaster. 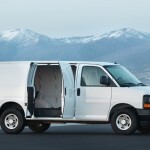 I’ve worked in full size vans for over 25 years. 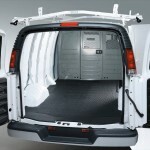 Try getting thru to the back through the man door in a Transit? good luck unless you hire kids. Finally, there’s a reason you don’t see many(if any) ambulances on the narrow bodied chassis cabs…just incapable! How did they manage to lose 20 HP over the same 4.3 that has been making 285 horses and 305 torque since model year 2014 in the full size trucks? 265 out of such a large high tech V6 is a poor showing. 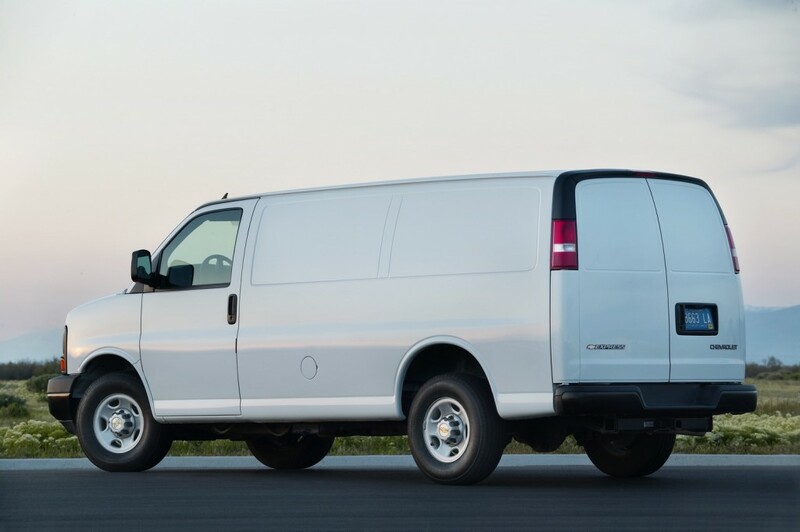 And it amazes me to no end that they can somehow fit the 8 speed to the 4.3 in this van but refuse to do it in the truck line unless you pony up for the 5.3 LTZ or costlier 6.2. 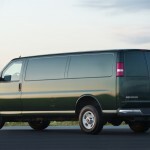 I’ll bet that 4.3 liter v6 in a full size van drives like piss. Sure it has okay numbers at 5,800 rpms which the engine will never see. 800 rpm – 2800 rpm probably makes you want to cut a hole in the floor and pedal. 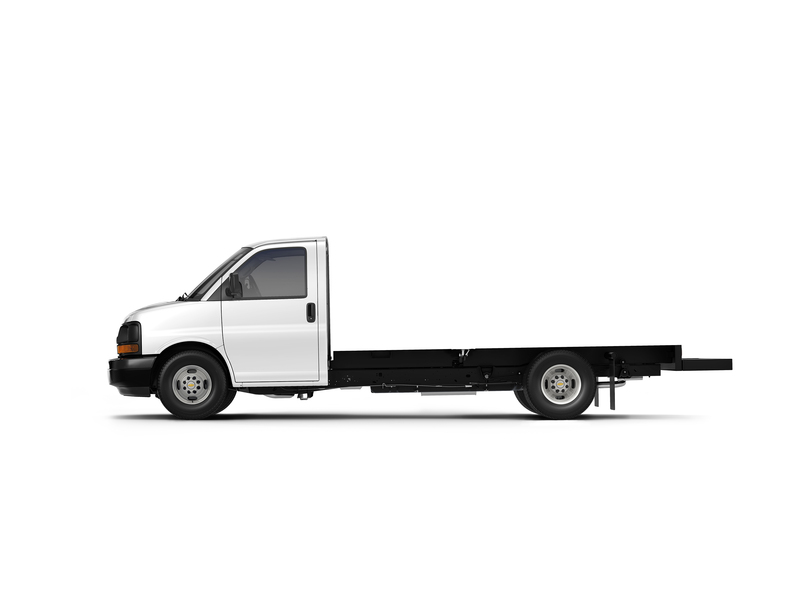 Does anyone have a comparison story going from an express to a transit? 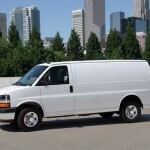 I have thought about buying a medium roof transit but just not sure about Fords. I have read a lot of bad reviews about the Fords, but have seen quite a bit more of them on the road lately.